Brush cutters and indeed grass trimmers are flexible in that they can be used in different scenarios including cutting hedge rows, forestries, home gardens, grass verges and pretty much anywhere depending on your requirements. Typically as the higher up the brushcutter range you go, the more power is supplied by the engines. Having power at your disposal enables you to utilise heavier duty cutting heads. Brushcutters that are fitted with small bent shafts are typically easy to use and lightweight. This are perfect for garden use as they are equipped for trimming grass. Straight shaft models open up the possibilities of a wider selection of cutting heads and choice of engines. Any good range of brushcutter models offer varied attachments tailored for different cutting tasks. 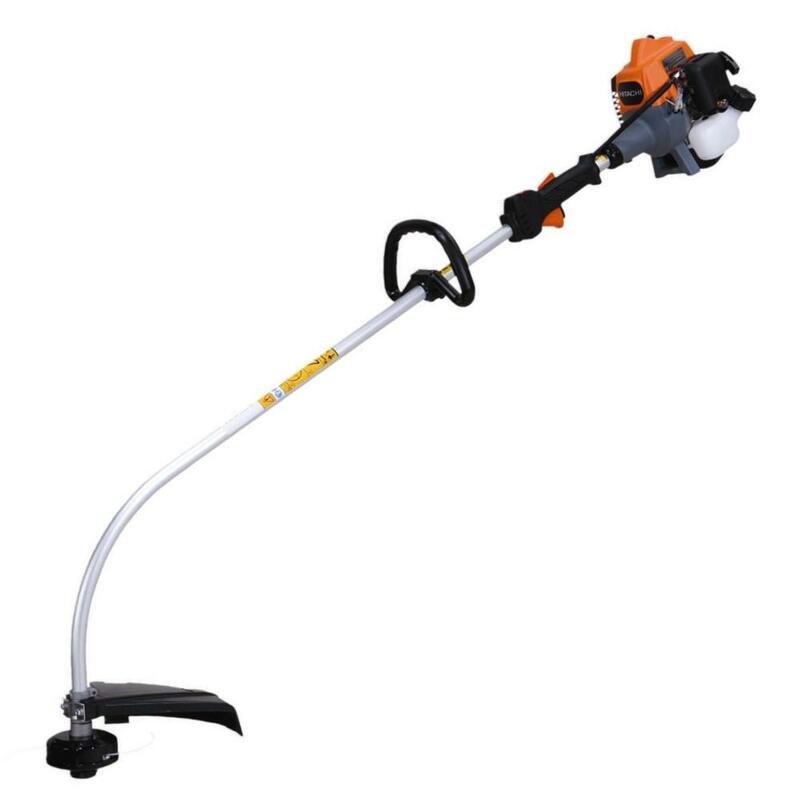 Typically available on all types of trimmer for doing smaller or softer plants and weeds as well as grass. Light and medium weight trimmers use polycut with three plastic knives on each head giving you the ability to cut through thicker brush. These are heavy duty and normally found on straight shaft models. If you want to work in confined and narrow spaces, then trimmer models fitted with a small handle (shaped like a D) to the shaft of the machine are ideal as they offer precision and control. When using metal blades then a bike handle design is more appropriate as it gives stronger grip and control. Suitable for lawns or paddocks. See our full range of Tanaka Brushcutter models.